Below is a 20 minute film on the farms that were on Richmond Avenue in 1948. 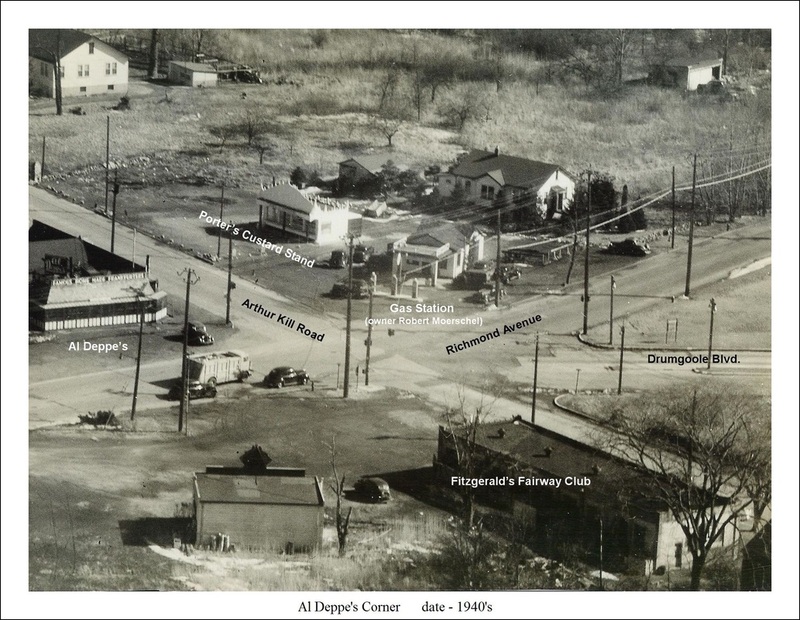 The life of the operation market gardening and horticultural family MOHLENHOFF in Staten Island, to the South of Manhattan. 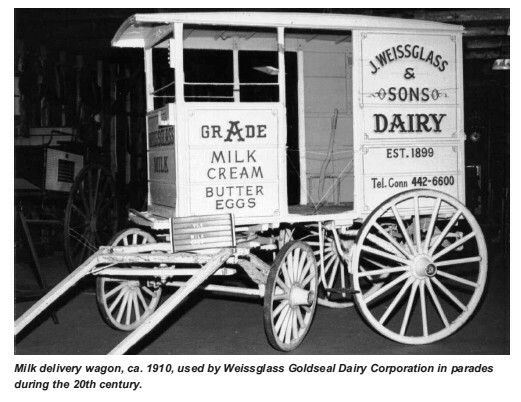 Since 1911, field and glasshouse crops are a thriving business. Very United, the four brothers provide joint management and divide up the work. Three times a week, one of them takes the ferry boat to deliver its products to the WASHINGTON market. The film alternates between scenes of harmonious family life and those agricultural work (preparation of the boots of flowers, liming, ploughing, transplanting of seedlings of celery, insecticide spray, harvest collection). The final commentary praised the courage and ingenuity of this family. 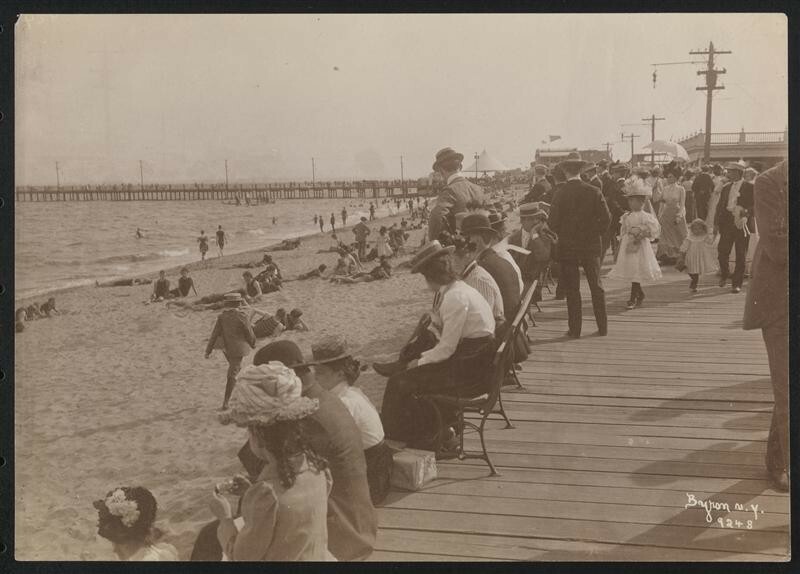 Best known for its vast parks and beach areas, Staten Island is a place where many generations of people have come to make a good life for their families. 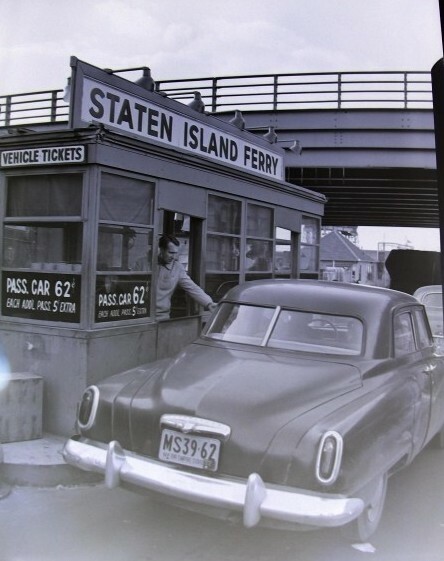 Staten Island has always been known for its family values and slower pace of living. Yet, we are just a boat ride away from the most exciting place in the world... "Manhattan"
For residents of other boroughs, Staten Island's beaches and parks are a retreat from the crowded city streets. 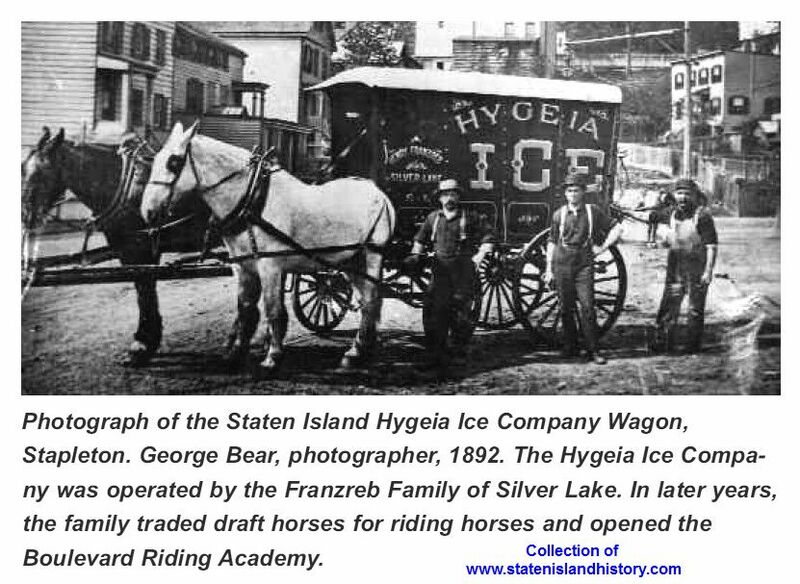 This is a borough, rich in history and I hope to share some of that history with fellow native islanders and welcome all who have made Staten Island their home. Enjoy your tour, in text, photo and video and please visit often, as I try to update on a regular basis. 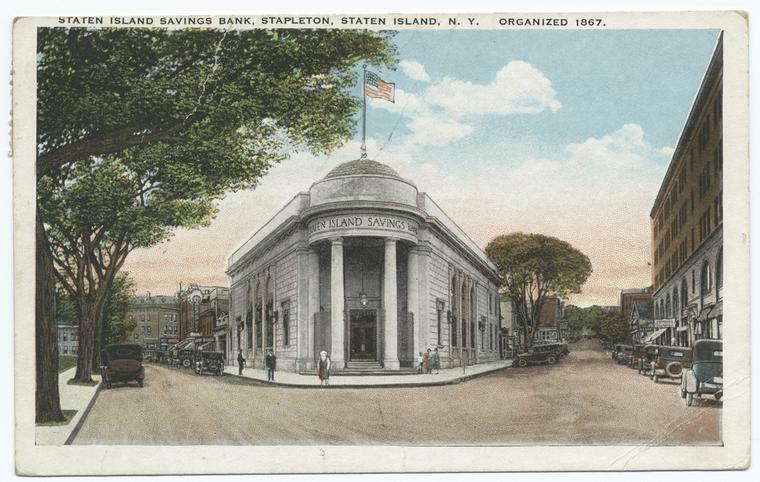 STATEN ISLAND, N.Y. -- Searching deep into Staten Island's fascinating history has helped satisfy John Louis Sublett's overwhelming curiosity and even earned him a little money. But the South Beach mechanic-turned-author hadn't anticipated the much more valuable reward. Those results were more than Sublett bargained for when he began this journey 10 years ago. 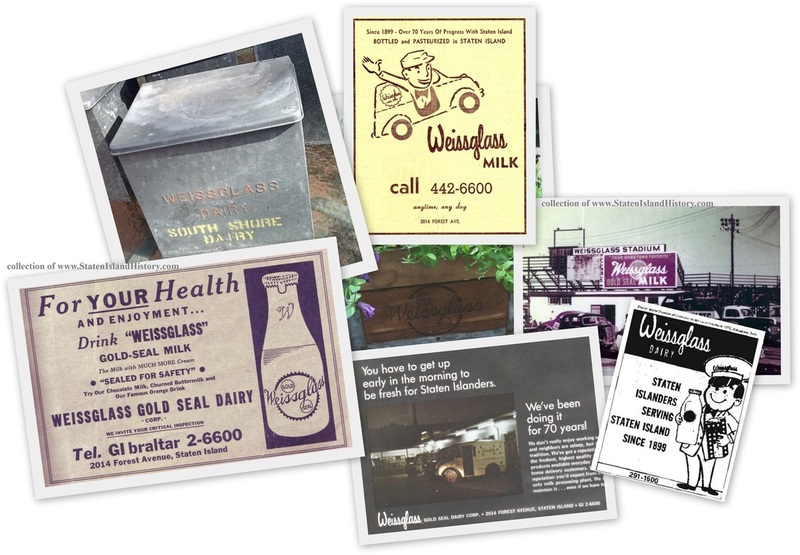 It was then that he started a website dedicated to the Island's bygone era. The response was overwhelming, as Staten Islanders shared in great numbers. 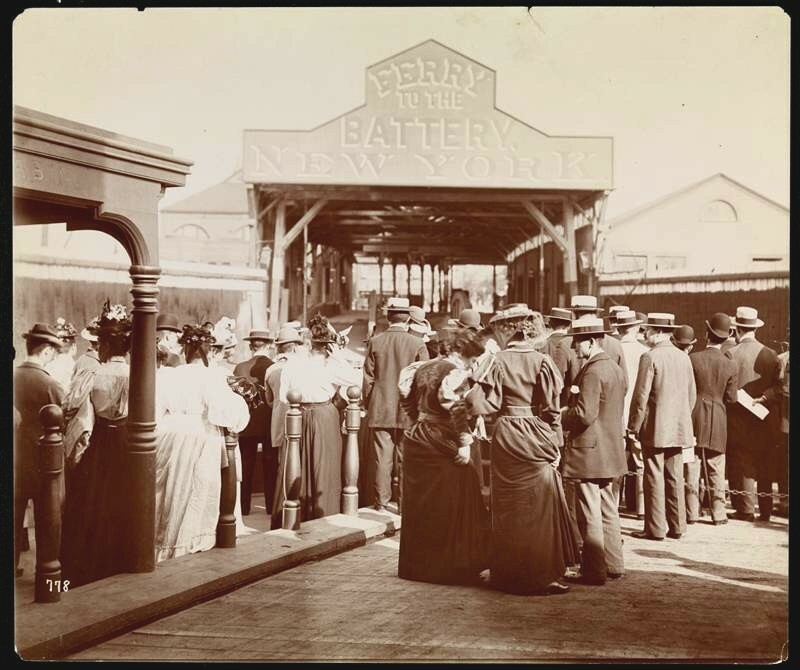 That led to an impressive collection of memorabilia including photographs, maps, newspaper accounts, personal accounts and tales of the Island's days hosting everything from Colonial meetings in Tottenville between John Adams and Benjamin Franklin, to an early 20th Century South Beach vacation destination. 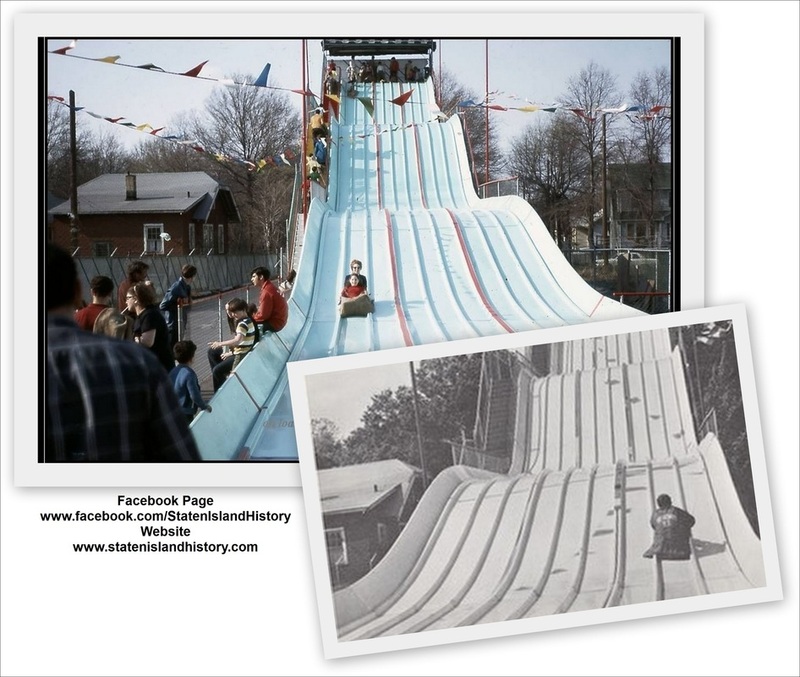 "People told me I had so much stuff, I should write a book,'' Sublett explains. A few years and six books later, Sublett is richer for his efforts, but not in the ways he'd imagined. 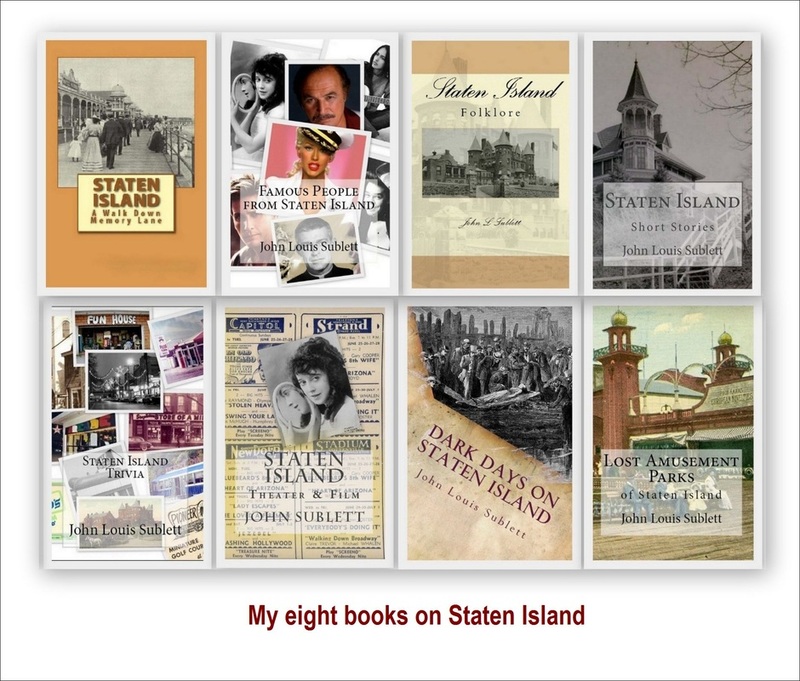 John Sublett of South Beach, a Staten Island collector and historian, has published many books, including "Famous People From Staten Island" and "Staten Island Trivia." He is currently working on "Dark Days on Staten Island." Sublett, 61, who has a seventh book in the works, is clearly touched by such reviews. "People think I make books to make money, but this is more important than the couple of dollars I make on the books,'' he said. A native of Midland Beach, Sublett always loved the Island, and spent much of his childhood at the beach. 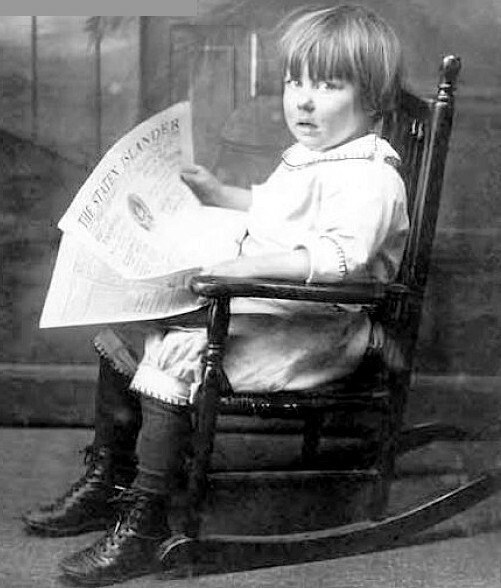 Yet, he grew up poor ­­­-- one of three children of a widowed mother on welfare -- and he saw not nearly enough of what was to him a fascinating place. He'd heard tales of the Island's past, but never saw evidence of it. 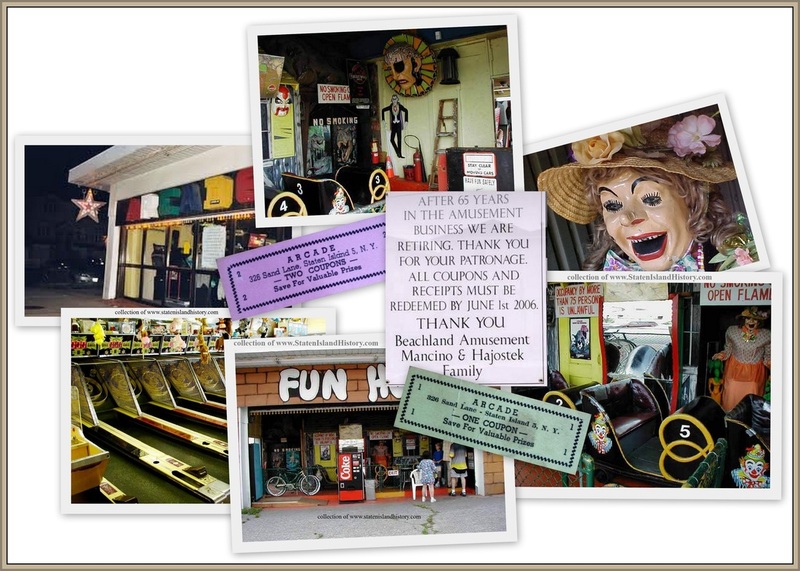 "My mother told me about the rides on the boardwalk [in South Beach],'' he said, but I'd never seen them. I'd never seen anything." Photos from his website's visitors changed all that. A tiny South Beach bungalow, where he lives with his 30-year-old autistic son, John Jr., has been his home for the past 15 years. What was once his living room now houses an office, complete with a desk, computer, reference materials and volumes of information on the Staten Island of yesteryear. It's where he spends a lot of his time, comfortable in cozy flannel pants, his next project always on his mind. "I type with one finger, that's why it takes so long,'' he says with a chuckle. He estimates he's sold about 1,000 books on Amazon.com, and a few hundred more from his website and home office. Now retired from his 30-year career as a mechanic for a Coca-Cola factory in Queens, Sublett has more time to dedicate to the seventh book, which will examine closely Staten Island's most gruesome crimes, offensive criminals, tragic accidents and horrific storms. Stories like that of 8-year-old Melvin Nimer, who in 1958 confessed to stabbing both of his parents to death in the family's Vanderbilt Avenue home. Subletts proudest moment came, he says, when his books were placed on the shelves of the city's libraries. "To be in the New York Public Library is an amazing thing,'' he said. Though he's donated copies to most of the city's branches, he says he hasn't gotten to every one yet. His books include one about the borough's rich theater history, another about famous people who once called the Island home, one on Island trivia and another focused on Island folklore, legends and stories. Which of his books is his favorite? 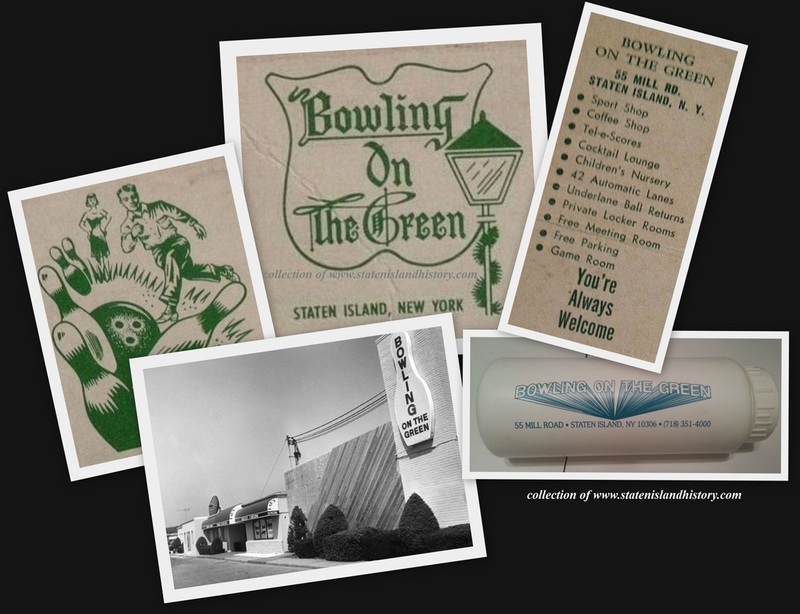 Bowling on the Green - Mill Road, New Dorp. 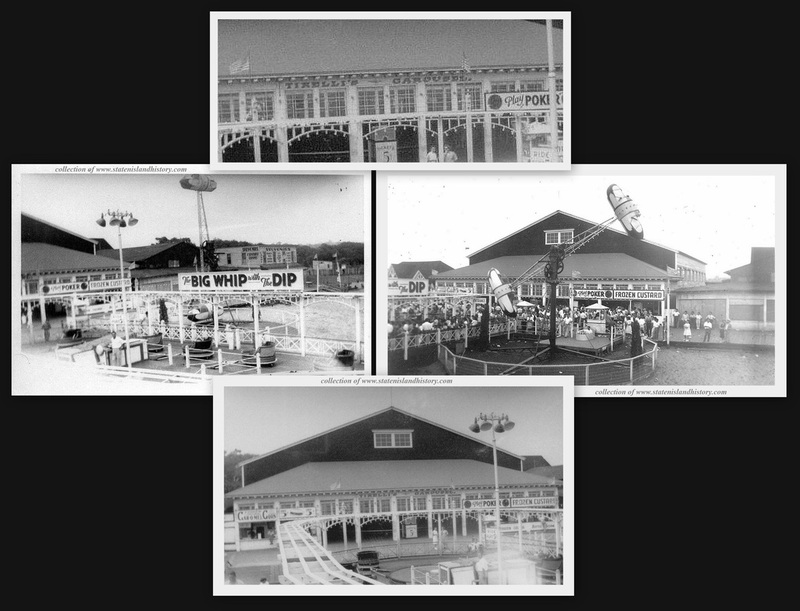 On the Old South Beach Boardwalk home of the famous "Tirelli Caroursel"
My grandfather and two other brothers (my uncles) originally took the bakery over from their father (the original owner from Germany - my great grandfather) and ran it for years and at the time when they inherited it there was a bother who was under age and was not included in the passing of the bakery at the time. 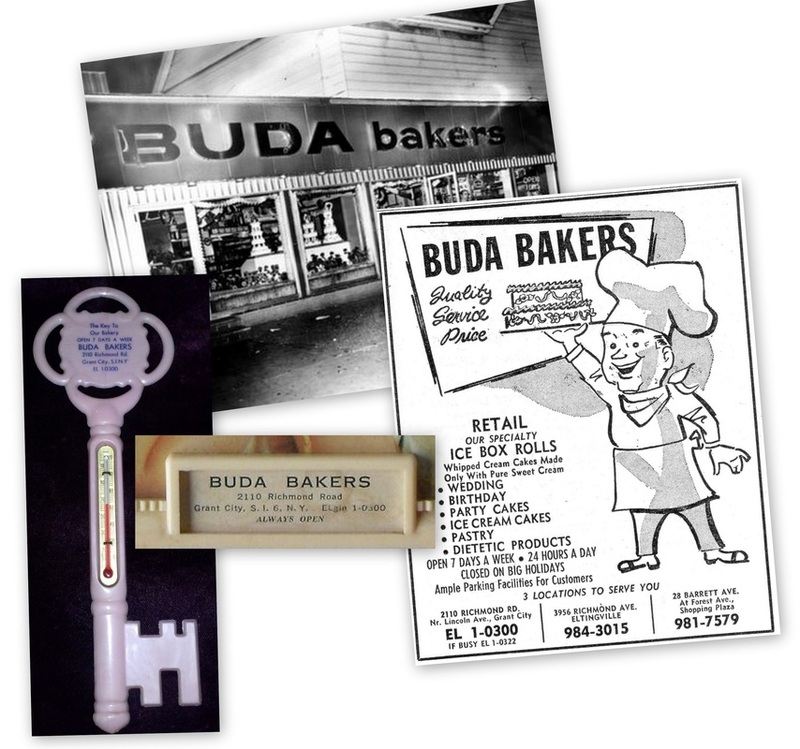 My grandfather and his two brothers sold the bakery to Hathaways Bakery. 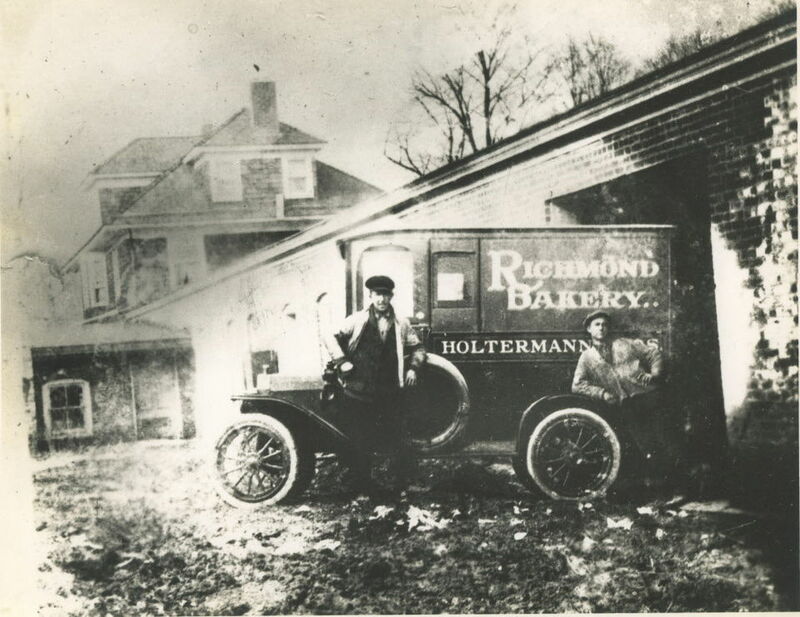 Hathaway ran it for years until the one of the Holtermann brothers took the bakery back from Hathaway. 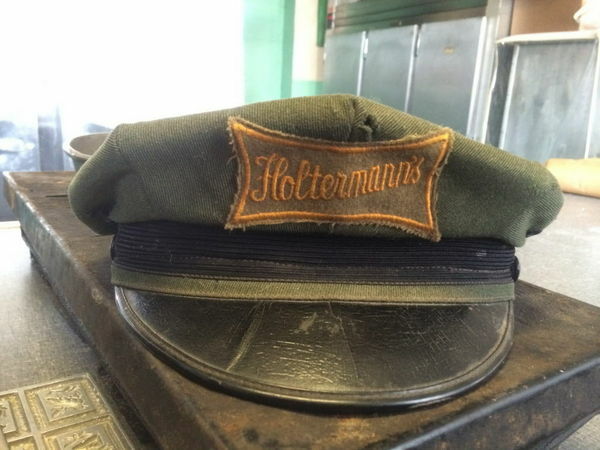 At that time they could not use the name Holtermann's Bakery because of a deal with Hathaway's (not to use the name Holtermann's for ten years) when they originally bought the place. 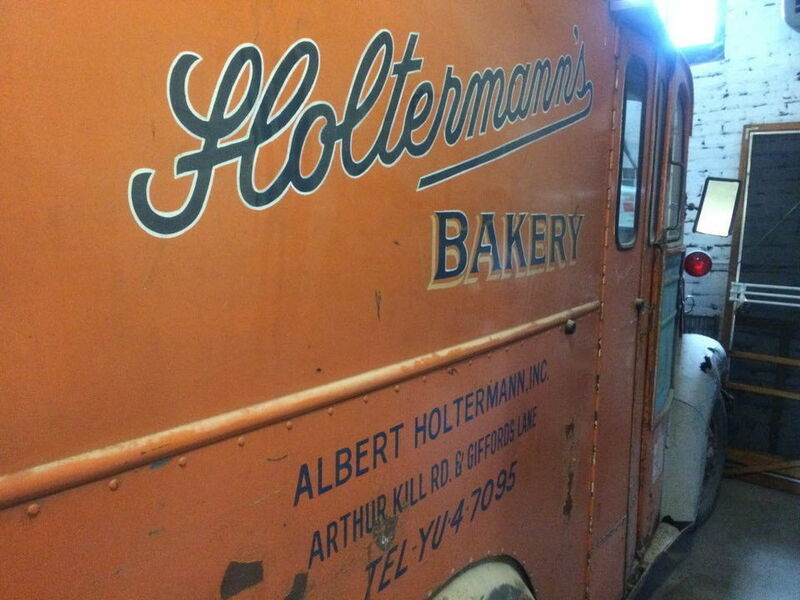 So, the brothers called it "The Arthur Kill Road Bakery" for 10 years and then changed the name back to Holtermann's Bakery after the 10 year period and that is the way it remains today. 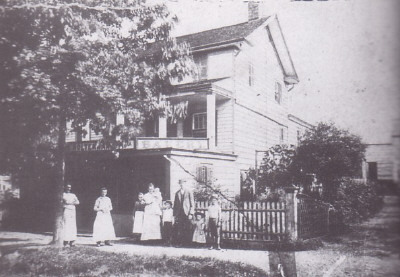 The old bakery used to be on Center Street in Richmondtown, Staten Island when it was purchased by Hathaway's, then my uncle moved it to its present location on Arthur Kill Road where it is today. 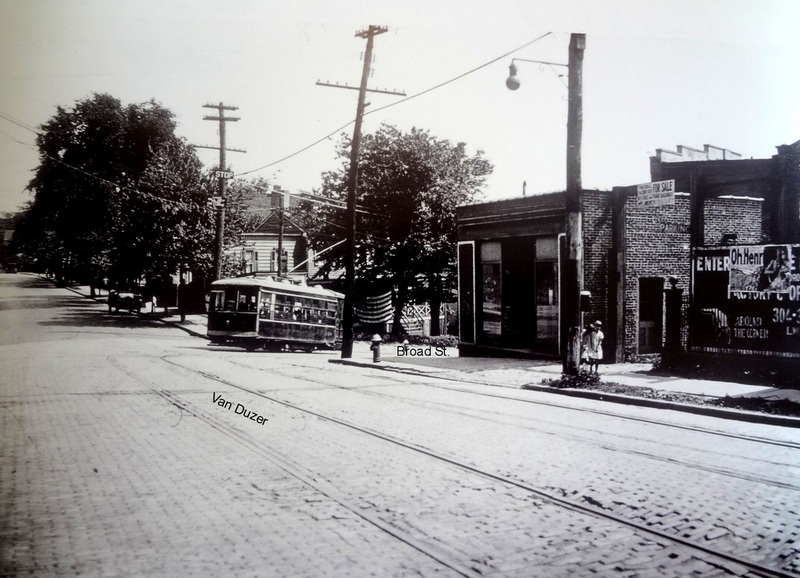 Story from Terry Toloczko . . . .
Around 1923, my father opened Herman's Bakery, located on Jewett Avenue near Forest Avenue. 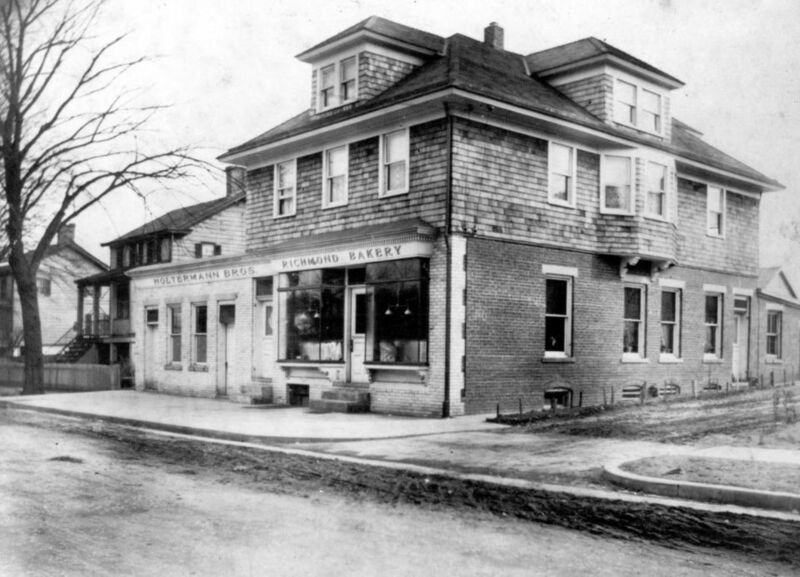 In 1932, the bakery moved around the corner to a new building at 1227 Forest Avenue. The family - parents and two boys (Herman II and Carl) and one girl (Terry) lived in a three bedroom apartment above the bakery. My father was one of the presidents of the Master Bakers Association. He was also known as the "alligator baker" because he made bread in the shape of alligators and snakes. 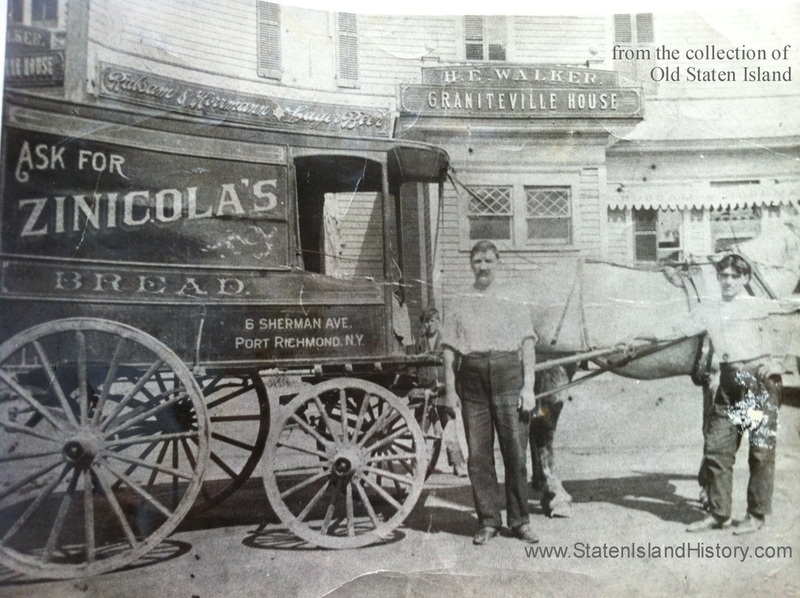 At one time, almost all the bakeries on the island were owned and operated by Germans; only one bakery was Italian. 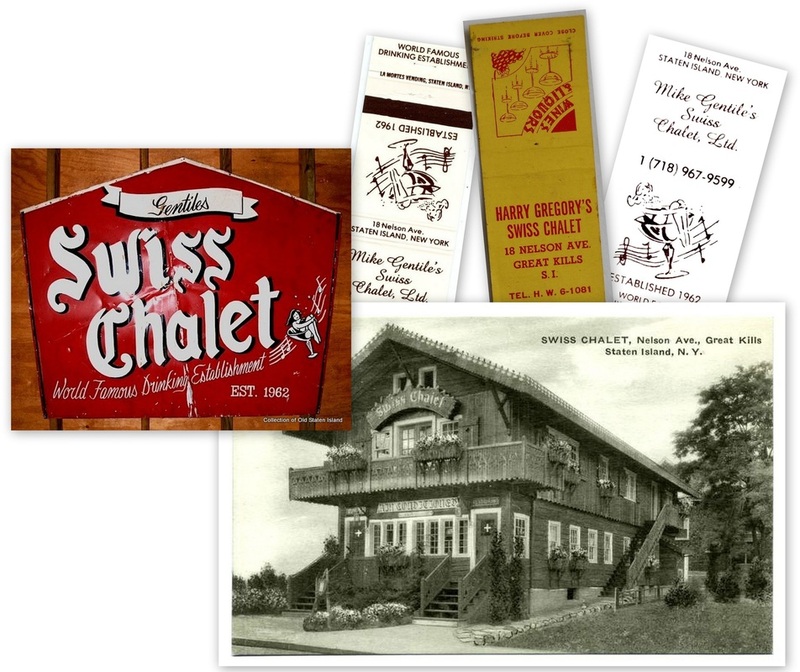 After my father retired (forty years in the business) his son Herman inherited the business. 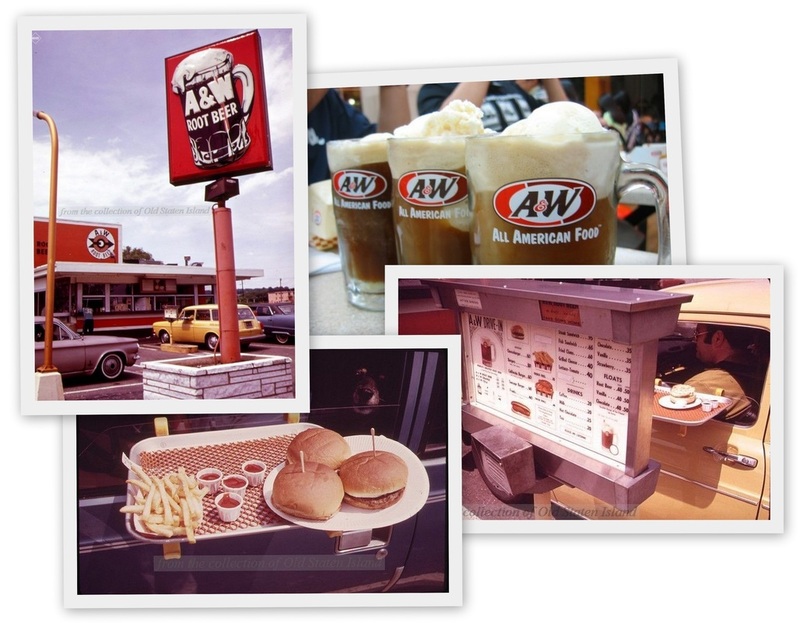 Sadly, the building was destroyed by fire in 1989. The son (Herman II) went to work at Halloran Military Hospiatal (Willowbrook State School) as a baker after Herman's Bakery closed. If you look at the photo close you will be amazed at the prices, a loaf of rye bread -10 cents a whole layer cake - 35 cents. 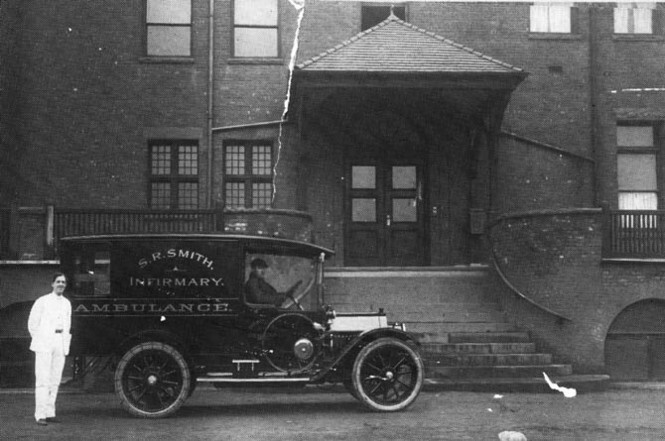 The old Staten Island Hospital (SR Smith Infrimary) on Castleton Avenue in ruins. I passed by there yesterday and was I shocked at what I saw. Staten Island has to be ashamed that they let such a stately building decay like this. 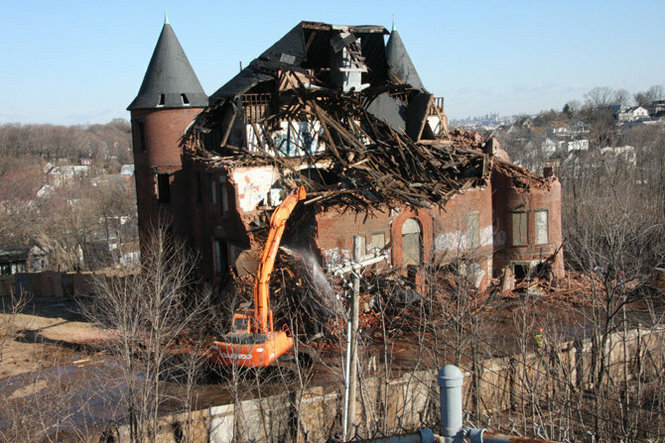 March 2012, one of the most beautiful building ever to have been built on Staten Island is no more. Sad to say that the efforts to save this exquisite building has failed. 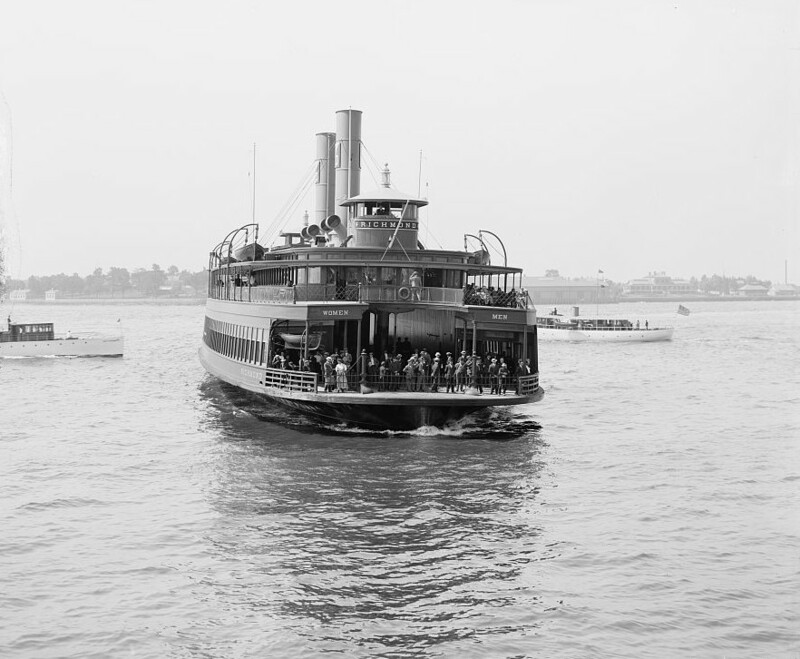 Once known as the "Pride of Staten Island" is now just a memory. Many people have many stories of this place, I personally will remember it as the place where my mother took her last breath. 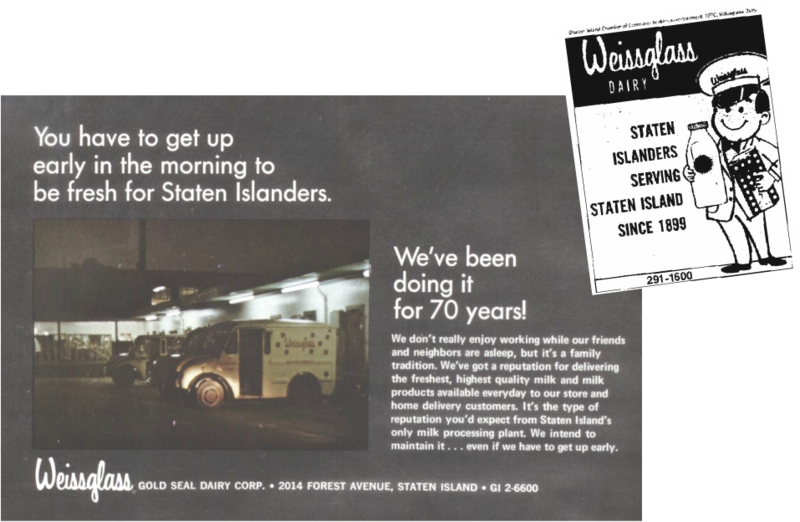 StatenIslandHistory.com may not be the author of these photographs, ads and drawings and does not claim to own any copyright privileges to them. They are assumed to be in the public domain and a best effort is taken not to use copyrighted material. they should contact me with proof for immediate removal.